Since 1985, Scott’s Upholstery & Carpet Care has done over 17,000 quality jobs and counting. With our state-of-the-art equipment and experience, the carpet experts at Scott’s Upholstery & Carpet Care can help you with any of your floor cleaning needs. At Scott’s Upholstery & Carpet Care, we take pride in offering high quality floor cleaning and floor care services to the greater Sacramento, CA area, up to 40 miles. Founded in 1985, our mission has been to provide customers with outstanding results. At Scott’s Upholstery & Carpet Care, we understand that it can be difficult to keep carpet and other flooring clean and maintained. With that in mind, our floor care experts offer a variety of services. 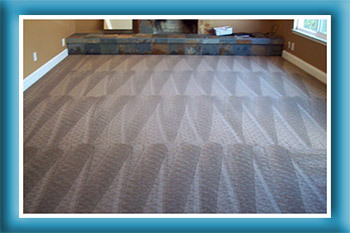 Looking for the best carpet care in Sacramento, CA? Look no further than Scott’s Upholstery & Carpet Care. We offer carpet repair and cleaning, care for upholstery, tile and grout and stone cleaning. Scott’s Upholstery & Carpet Care is a Certified Master Cleaner. We have years of experience and has completed over 17,000 jobs, so you know you can count on our high quality services. We are an accredited member of the Better Business Bureau and Angie’s List. We are Clean Water Business Partners. Scott’s Upholstery pledges not to pollute. "A serious stain from spilled wood color treatment...no problem if you have Scott. He has been the only person to work in our home since he ..."